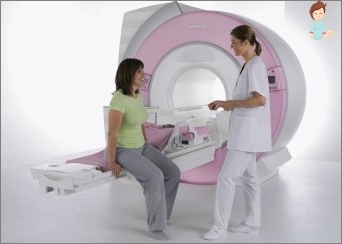 MRI procedure: if it is dangerous during pregnancy? If the doctor has appointed MRI during pregnancy,hence, it has weighty suspicion of serious pathology, which is a threat to health of the woman and her unborn child. At the same time a woman appears legitimate question: Is it possible to do MRI during pregnancy? As far as it is safe for the fetus? All the doctors say that this procedure is quiteduring pregnancy is safe. Studies conducted on animals have shown that this type of diagnosis is absolutely safe, non-threatening to mother and child health, has no harmful effects on the body. In addition, a significant advantage of thisresearch method is its effectiveness in comparison with other methods. Therefore, we can answer unequivocally, the procedure to do is not only possible, but necessary, if necessary. 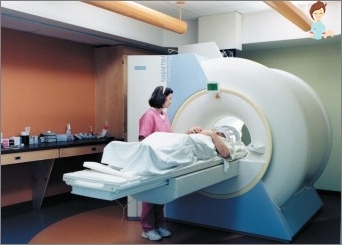 MRI is safe, which is notsay about radiography and computed tomography, which consist in penetration of X-rays into the human body. 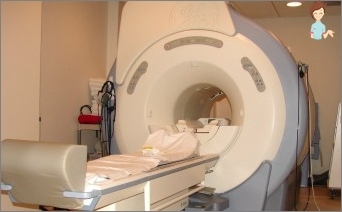 Magnetic resonance imaging is based on the use of the magnetic field with which people face literally everywhere. Scientists have not detected a single case whenthe magnetic field led to the emergence of severe pathologies, including cancer. MRI consequences do not occur during and after pregnancy itself. This applies to the examination of other categories of patients. 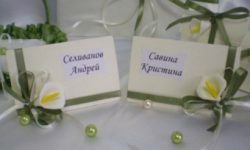 MR: Are there are contraindications in pregnancy? As already mentioned, this study is notcausing harm to the body, and it can take place. But doctors do not recommend the use of this type of diagnosis for up to 12 weeks. During this time, the fetus, the basic organs and systems, it is very susceptible to the adverse effects of internal and external adverse factors. Apparatus for research works and noisyIt releases a lot of heat, which can affect the course of pregnancy. 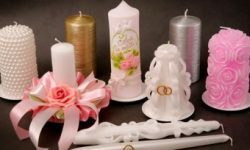 Therefore, it is recommended as far as possible refrain from activities in the first trimester and hold it a little later - in the second or third. This procedure can be assignedfor diagnostic purposes if you suspect the presence of diseases like the expectant mother and the fetus. The basis for appointment is the conclusion obtained after undergoing an ultrasound examination. After that, the woman sent for scans. Based on these results, if the suspected pathology confirmed, following treatment. When you need more information,It advised to undergo MRI rather than X-rays or CT scans, the consequences of which are very negative. In addition, there are cases when the gynecologist has to make a decision on abortion. In this situation, the results of the study will be invaluable and will help to understand whether such a radical measure is necessary. It is impossible to carry out ultrasound for any reason. Unfortunately, the need for thisprocedures for such purposes quite often occurs. The research process is quite simple and quite painless: the woman lies on the couch, around her head and placed the sensors are placed in the machine tunnel. The event is carried out in cases of suspected injury,malignant tumor, for a thorough examination of brain vessels. The results obtained in the study will be used to monitor the patient in order to eliminate the possibility of the development of serious pathologies that threaten life. 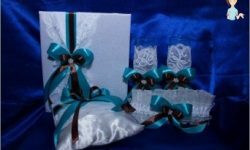 The procedure is best done in the morning hours, soat this time, and the woman, and the baby are in the quiescent state. Eating is not recommended, it can be done in 4 hours before the test. Before the procedure you need to empty the bladder. A woman is usually placed on the couch feetforward. This is done to prevent claustrophobic reactions. If it is difficult to breathe, lying on his back, then the activity is permitted in position on the left side, on the results of this point has no effect. Also, a woman warned that at any moment it can stop the procedure. This will make her feel more relaxed. Together with a woman in the room may be presentclose to her people. Doctors are advised to lie down in the tunnel before scanning. This will calm the child and prevent its spontaneous movements that occur in the first few minutes when you change position. Fetal MRI is usually prescribed afterpassing the US to clarify the nature of the changes. Some malformations ultrasonography reveals not completely. The results of imaging will help doctors and parents prepare for treatment or surgery immediately after the birth of the baby, or the need to resolve the issue of abortion. If the results of the pre-supplied denied Finally, the parents can calm down and expect a completely healthy baby. 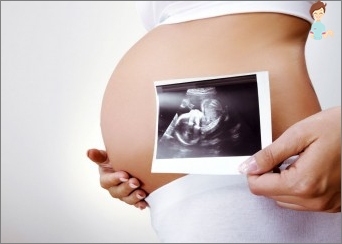 Efficiency of the procedure can be somewhatdecreased during the passage 20 weeks of pregnancy. This is due to the high activity of the child and his small absolute size. Image quality improves with increasing gestational age, decreased motor activity and the growth of the fetus. High differentiation of soft tissue and natural contrast. Despite the effectiveness of this method,There are some contraindications: presence of hearing aids, pacemakers and other implantable electronic devices; presence of metal inside and outside the body; claustrophobia and other similar behaviors, epilepsy; overweight than 200 kg.